We now have the best look yet at Samsung Galaxy S8, the most anticipated devices of 2017, from a source who is seldom wrong. The new leak shows the upcoming Galaxy S8 flagship smartphone in all its metallic glory and provides crucial details such as its key specifications and release date. The fresh latest Galaxy S8 leak comes from prolific tipster Evan Blass, who has shared a photo (seen below) of the Samsung Galaxy S8, giving us the front and back full view. 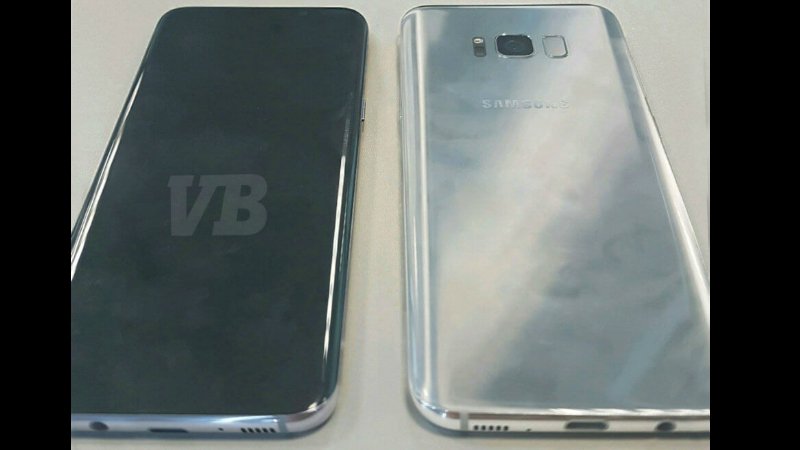 The leaked Galaxy S8 image testifies to all previous leaks, as it sports a large display with hardly any bezel visible on all sides. The Home Button is missing on the Galaxy S8, and the fingerprint scanner is at the back adjacent to the camera. The Samsung logo also it at the back, making the front sport a minimal 'all-display' design. At the back, the 12-megapixel camera sits in the top-centre, with the logo takes the middle spot. The image reveals that the 3.5mm audio jack is coming back. Furthermore, the Galaxy S8 will sport a USB Type-C port, and a speaker grille at the bottom edge. The button is placement is not clear, but a lone hardware button is seen on the right edge, indicating it could be the much rumoured Bixby assistant button; however, Blass sheds no light on that. As for Samsung Galaxy S8 specs, he reiterates that the Samsung Galaxy S8 variants will sport 5.8-inch and 6.2-inch displays. They will run on the latest Snapdragon 835 processor (or a 10nm in-house processor depending on regions) paired with 4GB RAM, and 64GB inbuilt storage that's expandable via microSD card (up to 256GB). Samsung Galaxy S8 is pegged to be 11 times faster, 23 percent graphics faster, and be 20 percent more battery efficient than its predecessor. The battery capacity will be 3000mAh and 3500mAh for the two variants, but will come with other optimisations to improve on overall usage time. Galaxy S8's front camera sensor will be at 8-megapixel, the rear camera at 12-megapixel, with both maintaining the f/1.7 aperture of their predecessors. The main camera is also said to feature a visual search feature, showing different search options depending on what was photographed. The smartphone will come with a service called DeX that will allow you to transform the device into a mini Android computer. Blass adds that the smartphone will sport an iris scanner feature similar to the Galaxy Note 7. The virtual assistant, Bixby, was also touted to be better than several of its competitors, with the ability to understand 'multi-part instructions'. Also tipped was the addition of pressure-sensitive display technology, said to have been implemented at the bottom part of the display. 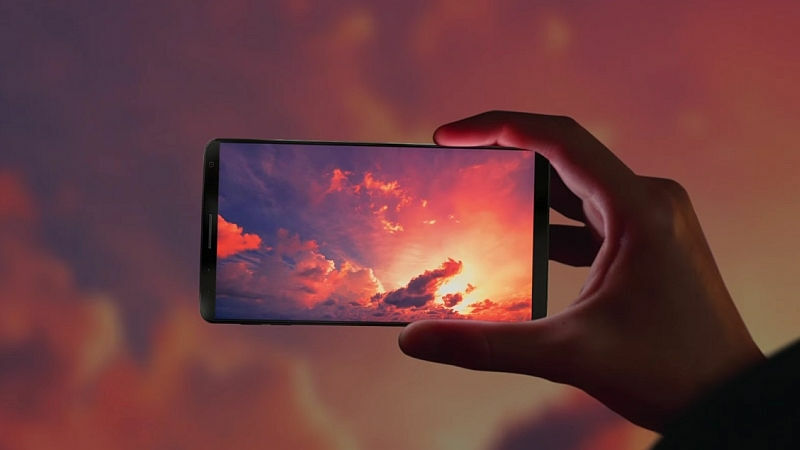 As for the Samsung Galaxy S8 release date, Blass reiterates that the smartphone will launch on March 29 at an unpacked event in New York. He says both models will go on sale from April 21, and that they will cost EUR 100 (roughly Rs. 7,300) more than their predecessors - 5.8-inch model tipped to be priced at EUR 799 (roughly Rs. 58,100) and the 6.2-inch model tipped to be priced at EUR 899 (roughly Rs. 65,400).